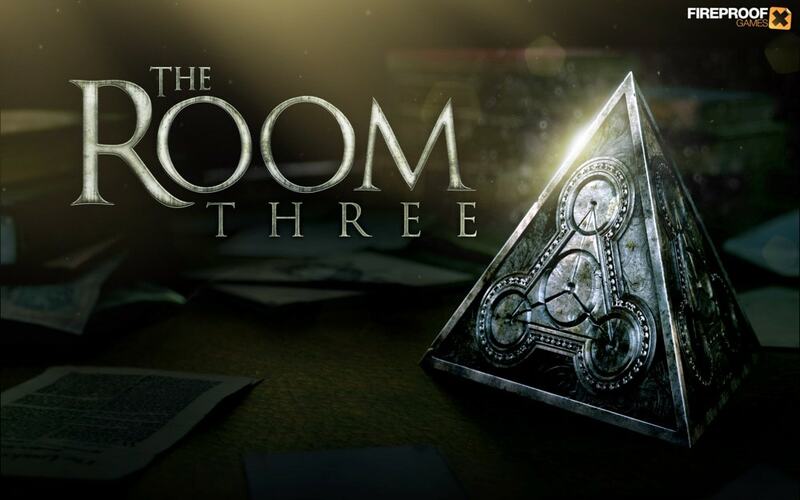 This is a complete step-by-step walkthrough with hints, help, tips, tricks, answers and solutions for The Room Three by Fireproof Games. Only read this if you don’t mind spoilers. Feel free to ask for extra help in the comments section. 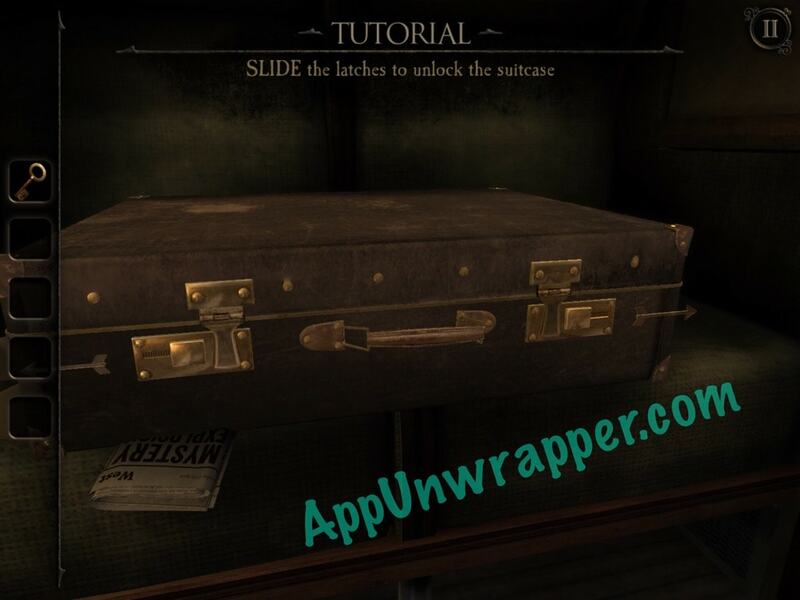 **Note: You can find a complete video walkthrough for each chapter at the beginning of of each chapter. They follow my walkthrough exactly, so it’s easier to find a part that you need. 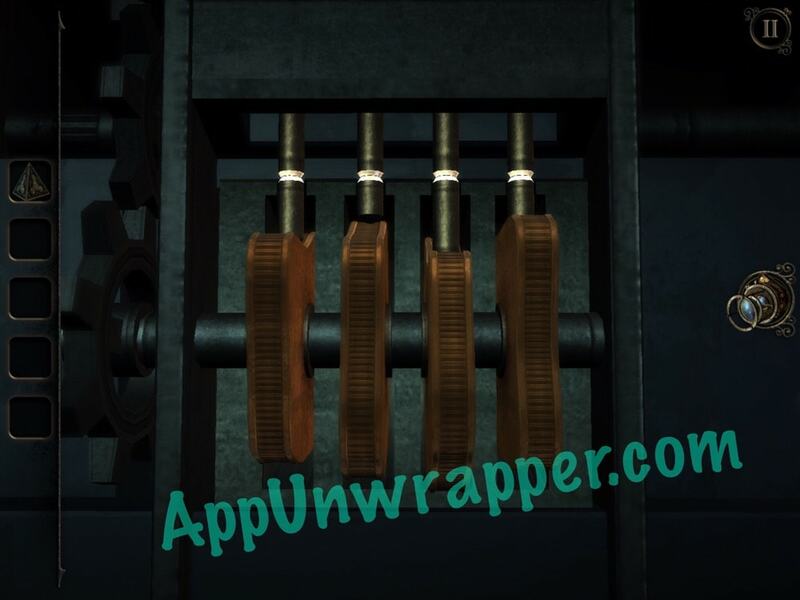 I’ve also added short clips throughout of some individual puzzles. If you’re having trouble with a specific puzzle and want me to add it, just ask. Chapter 1, The Lighthouse | Chapter 2, The Clock Tower. | Chapter 3, The Forge. | Chapter 4, The Observatory. | Chapter 5, The Projector, Imprisoned Ending. 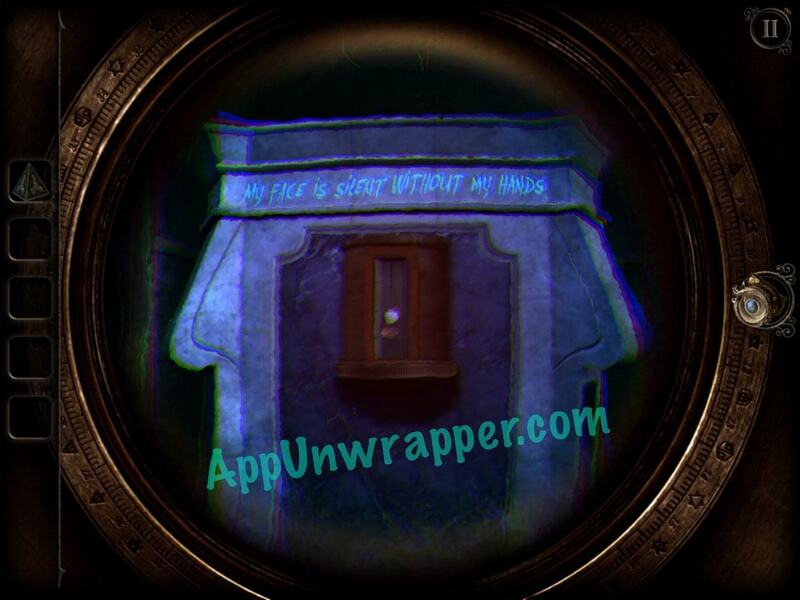 See all three alternate endings, Release, Escape, Lost. 1. Follow the tutorial. 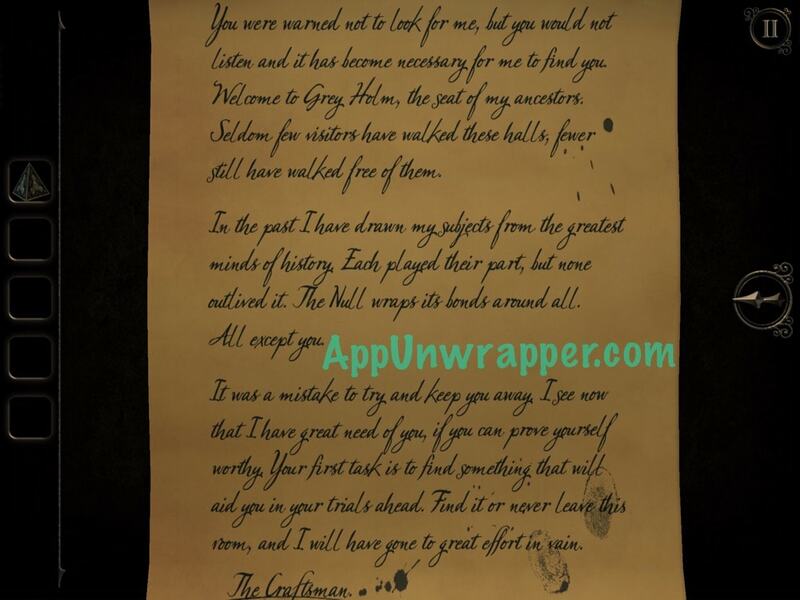 Swipe around to find the journal and look rough it a bit. 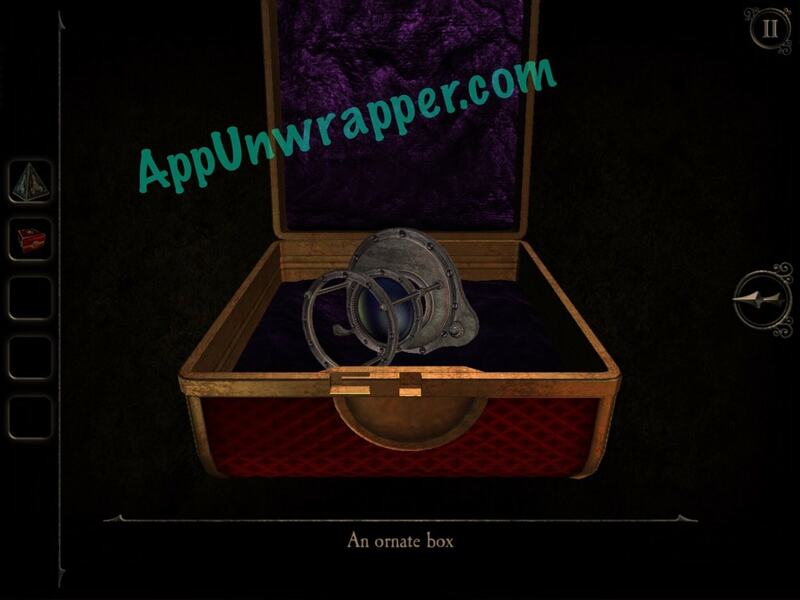 Then, look at the box that appears on the table. Take the key. 2. There’s no keyhole on the box, so you need to get your eyepiece from the suitcase. Swipe both the right and left locks outward to open the suitcase. Then, zoom in on the little metal strip inside the lid. It’s actually a hidden compartment! Slide it out of the way and then take the eyepiece. 3. You can’t really do anything else right now with the rest of the stuff inside your suitcase. But you can use the eyepiece to see some hidden markings. 4. Use the eyepiece on the box to see some puzzle pieces. Slide them around to make a square, which will then reveal a keyhole. Use the key in the keyhole and turn it. Then take the engraved pyramid. 5. You will now be transported to a new room. Slide the lock on the door to the right to see into the next room. Some man walks by the table. The answer is NOTHING, so set the cylinder to the empty window. 7. The second one says “MY FACE IS SILENT WITHOUT MY HANDS.” The answer is a CLOCK, so find the pocket watch and set it to that. 8. The third one says “THE POWER OF FLIGHT THE WELL OF KNOWLEDGE.” This is a quill and ink well. Set it to that. 9. 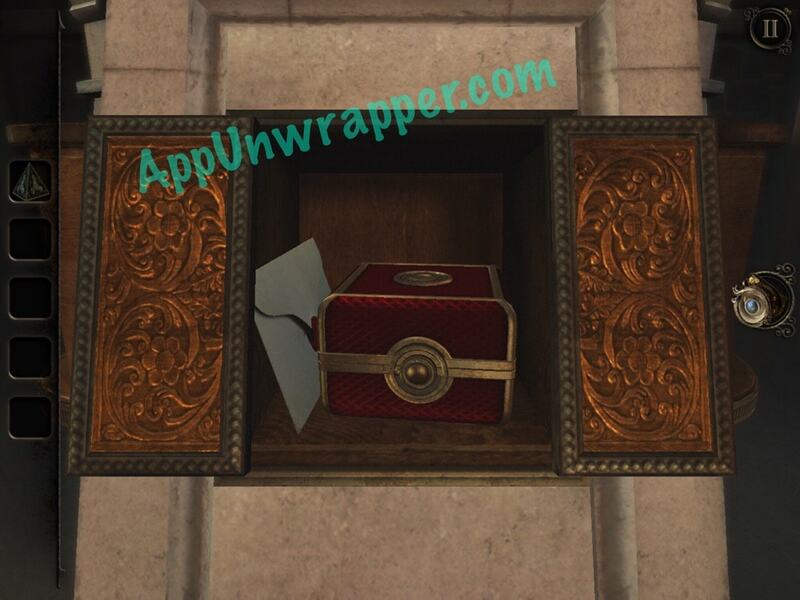 A slot in the box will open, revealing a letter from the Craftsman and an ornate box. Take the box and open it. Take the lens. It will automatically be added to your eyepiece. 10. 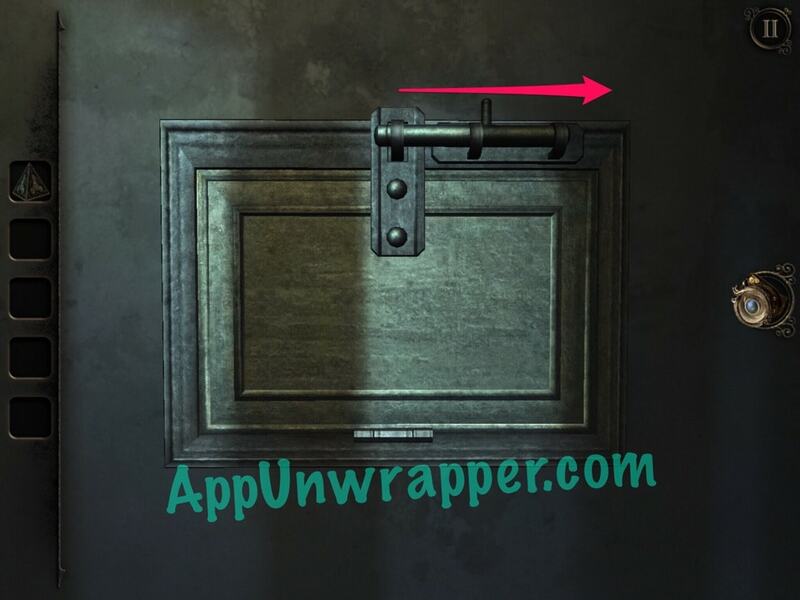 Use the eyepiece to see inside the door’s keyhole, then pick the lock. You basically turn two pieces at a time and stop when you see the white glow in the middle. The door will unlock and you can go through to the next room. What do you do with the blank wax cylinder? How do you open up all the drawers on the desk? What are the phonographs for and how can you turn them on? Right! I got one ending now want to try for more. So…do you know what to do with those things? Yup all those things I’ve done. Now I have a wax cylinder that I cannot figure out what to do with (something with the phonographs but what?) and the drawer in the study half unlocked (left side unlocked). Clock puzzle and book puzzle solved. There are little subtle switches within the drawers (similar to in the laboratory from the room 2) that open more of the desk. You can’t use the wax cylinder until you get the crank handle for the greenhouse phonograph. I *think* it came from the desk…. Hope that helps…? Oh…and did you find the thing stuck in the tree in the greenhouse? I have no wax cylinder??? But need it for the phone recordings?? Where do I get it? Close book with posters in upper level of library. Left side should have cube. Take cube to greenhouse. Left side of room has desk, put cube on scale and watch it slide into box. Put lenses on and toggle the left and right direction buttons until it turns into sphere. Hit round button in center, get sphere. Put the sphere into the right side of book and open it again. Put lenses on, go in stage. it starts with the big clock so change your phone time 00:00 the clock will have button you gonna solve the problem. The second one The Telephone you will find the number in liberary room near the gramphone 🙂 Then call the number from other room and answer it in the liberary room than take the wax ? You can solve it than ? but…what is with the thing in between the drawers? Is there a way to separate it from the wood? I’ve opened the clock and opened two of the drawers in the desk, but how do I open the other two? I found the switch inside the top left drawer, but all that did was unlock half of the middle drawer. How do I open the bottom left drawer, which I assume has the switch to unlock the second half of the middle drawer? The middle piece that turns will rotate if you zoom in on it. I managed to get the release ending. I have no idea how to get the escape ending. I managed to find one token, the one artifact, and a crank wheel with a four sided star shaped hole. I don’t know where to put it. Also, the handle is in the study on the desk? I feel like I’ve looked everywhere but I can’t seem to find it. How many of the desk drawers can be opened? I’ve opened only the top two drawers. How does the banister railing function? What about the gold crest on the opposite side of the chandelier? All of the desk drawers and 1 of the desk cabinents can be opened. Once you get the key for the first drawer you’ll be able to open the others…just look very closely at the desk. The gold crest works like a rocker switch to move the pendulum in the center of the room. You can use it to open the safe. Alright. I got three of the four endings. There’s only one left. But, the problem is I can’t find anything else I can play with/manipulate. Although, I did notice a door in the greenhouse partially blocked by a tree. I’m not sure if that has anything to do with the final ending, but if it does, I don’t know what to do with it. If it doesn’t do anything, than I have absolutely no clue what to do anymore or even where to begin looking. Me too, completely stuck. I’ve tried each artifact, both at the same time, but it only gives me two release and one escape ending. After you’ve gotten three endings have you tried again? Unfortunately, I tried it to no avail. 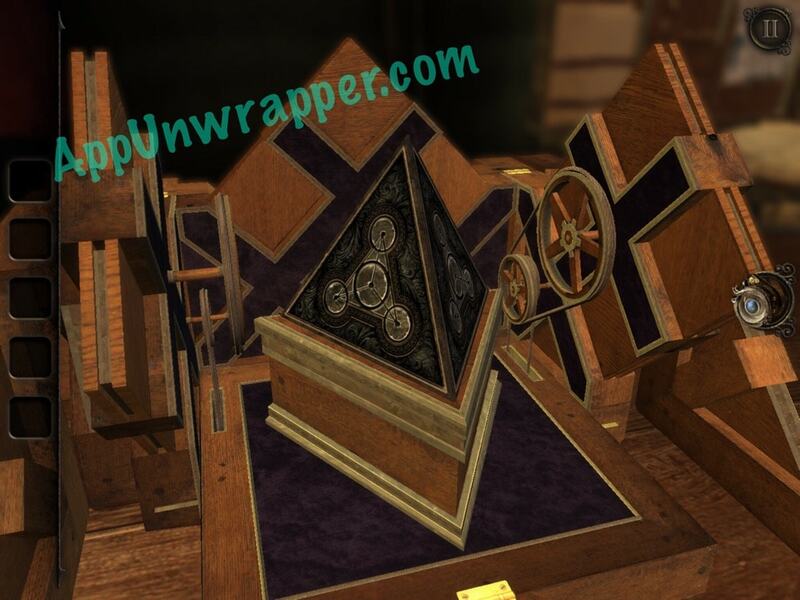 The game only let’s use one tower piece in combination with the beam of light from the Craftsman’s key. You only get one of the three endings. The fourth remains still a mystery. The fourth ending requires the use of all three beams (Craftsman/Imprison, Escape, Release). You have to take the screwdriver to front of either Escape or Release towers (I used Release) to remove the piece that blocks the beam when the other tower piece is active. This will give you the Lost ending. I was thinking of creating a new page for the alternate endings to show where to find all the items. I’ve found some of the items already, but I don’t think I can complete any of those endings till I finish all five chapters? Your guess is as good as mine. I don’t even know if the developers have an idea yet if they’re making another one. 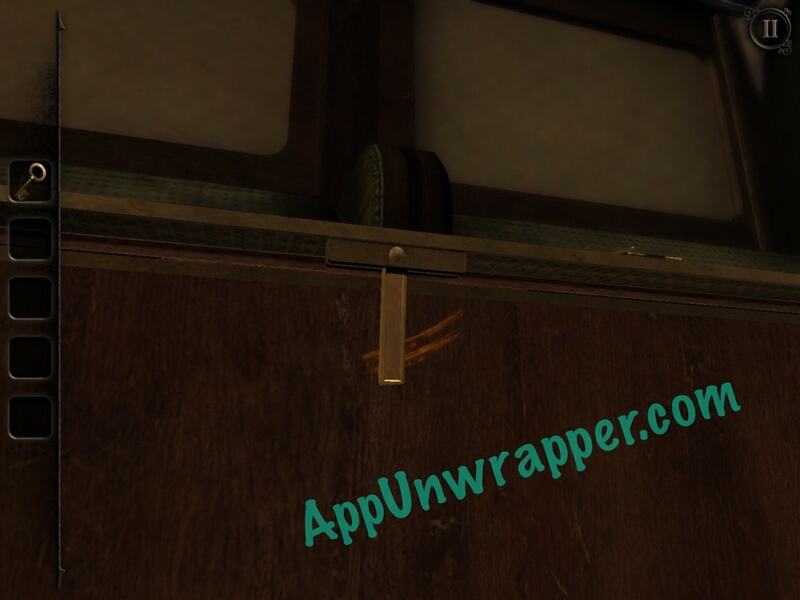 Oh yea, has anyone used the screwdriver? I haven’t found one use for it yet, maybe that’s the key to the last ending? I’m in the same place as you guys. All I have to use is the screwdriver it seems. Have you guys noticed that the box in the tree in the greenhouse is still open? I’ve been back in but I’m not able to change anything. Makes me feel like there is something else to happen in there. I don’t know, I think all the drawers/boxes stay open after you’ve opened them. I’ve been looking all over for screws but not finding any. I did see some on the sides of the window in the atrium holding brackets onto the wall but I can’t interact with them. I figured it out and completed it 100%. You will need the screwdriver. Where do I use it? In the atrium? What projector? The one in the last room? I can’t seem to find anything that I can interact with. You mean the last room as in the one where you redirect beams of light? I still can’t figure it out. I don’t see any screw anywhere. The screwdriver won’t interact with anything. So, I really need help!!! I just got past the forge and I have this screwdriver that I need to use on an oscilloscope in the study, but the screwdriver won’t fit anywhere in it! Please help I can’t progress in the game!!! Go to the room that looks like an office. Not the room with the books in it. What do I do to open the safe and the drawers embedded in the tree? For the tree, look behind it in the other room. It took me a while to find. Look on the floor to the right of the light fixture. The clue is there. As for the safe, look on the other side of the atrium where the generator is on the railing. Oh. I’m sorry. I phrased it in a bad way. On the side of the atrium with the device you use to connect the fuses. Turn around and face the railing. There is an object attached to it right in the centre. There is a gold crest on the railing. But I can’t interact with it. I press it, try to rotate, flip, it won’t move. I had a hard time getting to to work, too. Angle it to above the crest. Then put your finger on one side of it and move it very carefully. The weight in the middle of the room should start swinging. That was a tricky one. It’s very subtle. Thanks!! Yeah, that one is super difficult. If anyone can help me with any of this it would be much appreciated. Give the tokens to the fortune teller in the library. “Cross my palm with silver.” She’ll give you items you can use on puzzles. In the coin slot, there should be a mechanism. Looks like a gear. You can manipulate that in close up view. That should get you started. Sorry, I did all this already, I found two tokens (and handed them in for items) and the mechanism. It’s just what I listed that I need help with. You listed all the items you have? For now, I can tell you the sphere does nothing else. The other shapes serve no purpose. Once you place the sphere, you’re done with that part. Oh, have you gotten into the cellar with the math problems? You’ll need to do that in order to use the wax cylinder. You don’t need to get the sphere back. You need to solve the drawers to access the dungeon. In there, there are some math puzzles which will give power to the library when solved. That will allow the telephone and gramophone to work. You still need to find a lever for the gramophone in the greenhouse though. I unlocked the dungeon and powered the gramaphone but after working once it won’t work anymore (the one in the library main floor, the room with the elevator). Is there any way to make it work again? The greenhouse gramaphone works, it just constantly makes noise and I don’t know what to do with it. There are telephones next to both gramophones. Hint hint. On the front of the library phone should be a phone number. Go to the greenhouse and dial it. Then go back to the library to answer the now ringing phone. Before you do, make sure you place the wax cylinder in the gramophone, because it’s going to record the sound coming through from the greenhouse. So now I have a etched cylinder, but is there a third gramophone to interact with it? Seems that I’ve solved all the other puzzles. Go back to the gramophone you got it from. Place it in and push the button on the front. 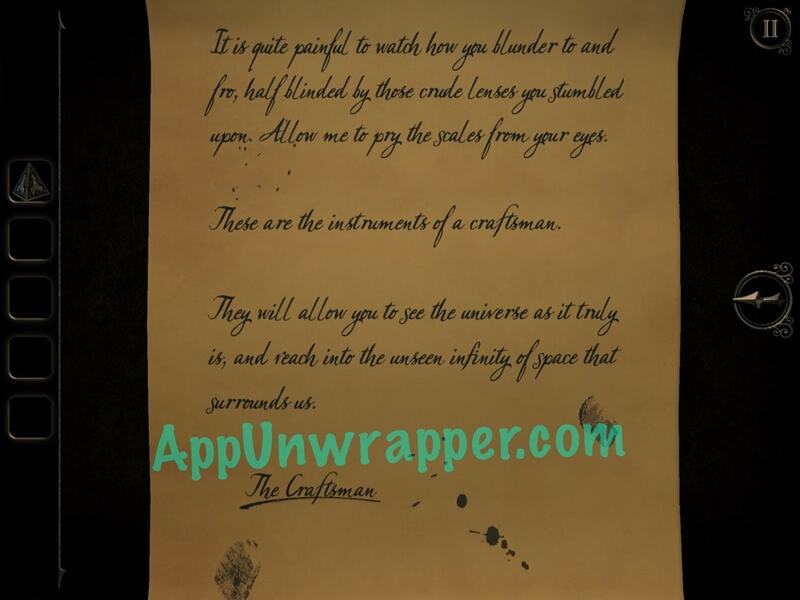 The gramophone will play the music, solving the puzzle. Jesus I forgot where I got it from and couldn’t find it anywhere…Which room is it in? It’s inside the book up in the loft of the library. The one that had the posters on it. The crank is given to you by the fortune teller. I’m not sure which coin, but it’s comes out of the slot in her machine. 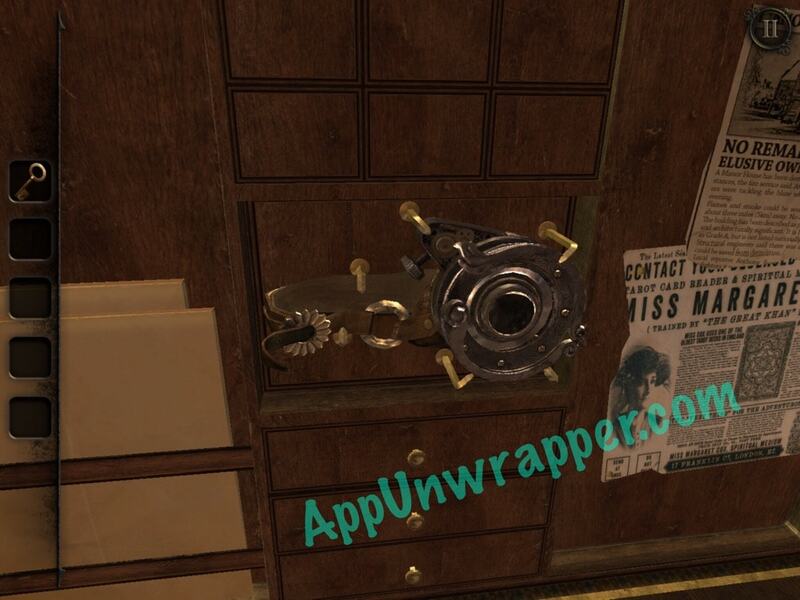 I’ve used one coin to get the wheel crank for the cellar open, where is the second one found? So I rang up the telephone in the library and got a cross-shaped key, what next? Still no key for the drawer in the tree. 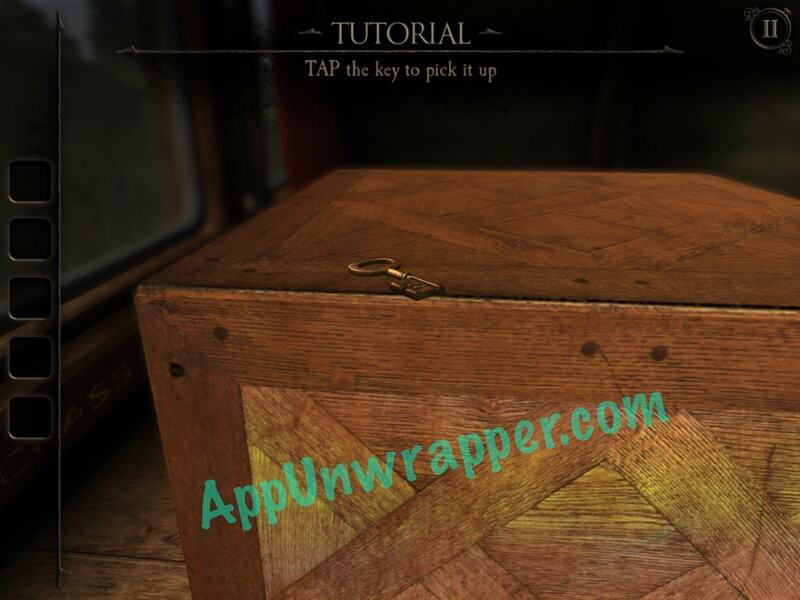 Use the key on the chest of drawers in the cellar. You’ll get another token. The key for the tree you won’t get until the very end. I haven’t found anything. I’ve honestly given up until I feel like trying again or until CA or someone else gives us a hint or just tells us how. I’ll be sure to do the same, either a hint or just the straight up solution when I figure it out. Until then, I’m as stymied as you are. Hey, just got the solution from SB. Once you place the right artefact, look on the back where the beam projects out. There’s a slider with a screw. I haven’t a damn clue to be honest. It’s the screwdriver. It’s gotta be. But I can’t find screws anywhere. Or anything for it to interact with. Even in the Craftsman’s room on the projector as suggested. All the other projectors that opened up the other dimensions are closed, so I can’t imagine them being of any use anymore. And this game seems to follow the dynamic that once a puzzle is solved, you don’t need to go back to it again. So, again, I can’t imagine those other projectors are any good anymore. Got all but the fourth ending (Lost?). Anyone got this one yet? None of who have gotten that far have figured it out yet. CA suggested you use the screwdriver on the projector in the last room, but I can’t figure out how, and I imagine AoiKitsune has tried as well. You’re welcome to give it a shot yourself. If you manage to find out how, let us know. All I’m missing now is the thing that completes the three crystals station. I have all tokens and all rooms unlocked before you ask. No I mean I have all three crystals, but tapping that machine I get a message that it needs another piece. There’s also a mechanical switch of sorts beside it that won’t budge. (I got the round screen beside this machine powered on, so that’s not the issue). Oh, okay. In the loft in the library with the two posters. Did you check that? If not, it folds in like a book. The cube is the missing piece for the machine. You mean the cube that fits opposite the gold sphere you create in the basement? I did that. I’m pretty sure that’s just a bug. 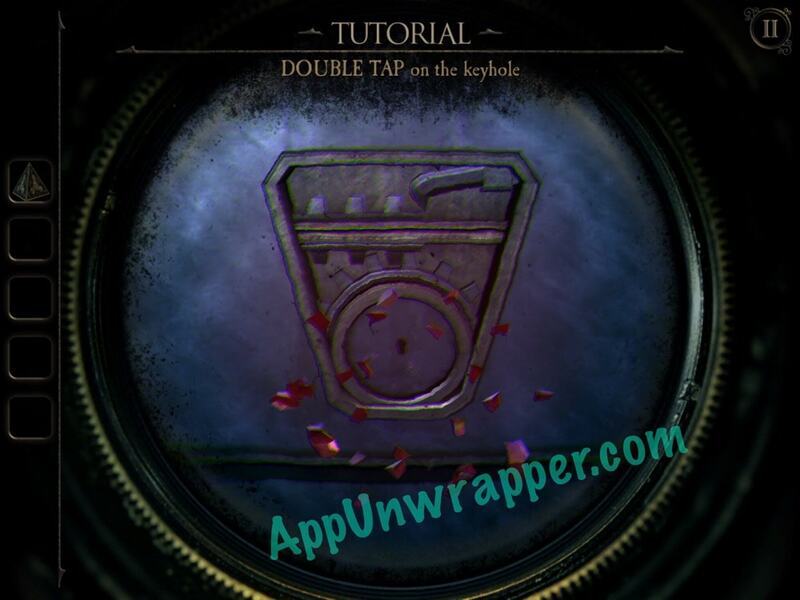 Double tap the screen and use the buttons to get the screen to open. 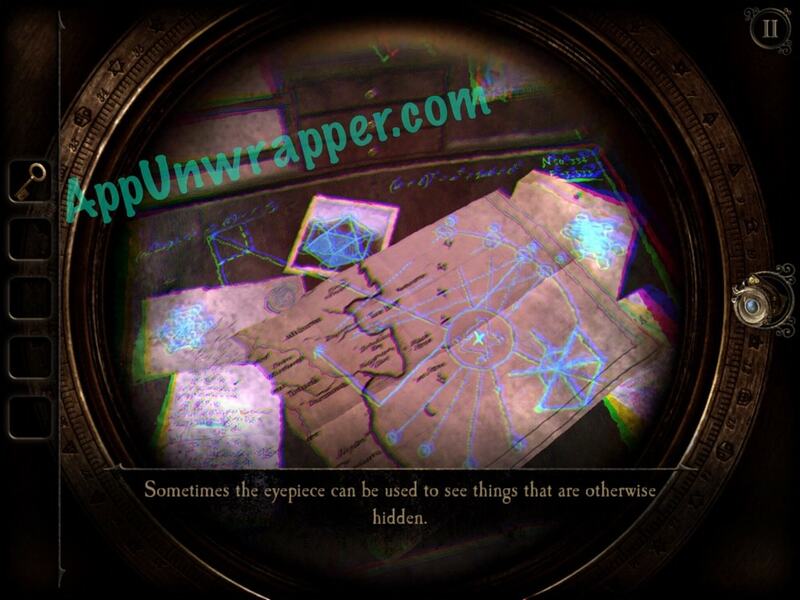 Weird request, but do you have a working solution for the right artefact’s crystal puzzle? I hate puzzles like this. 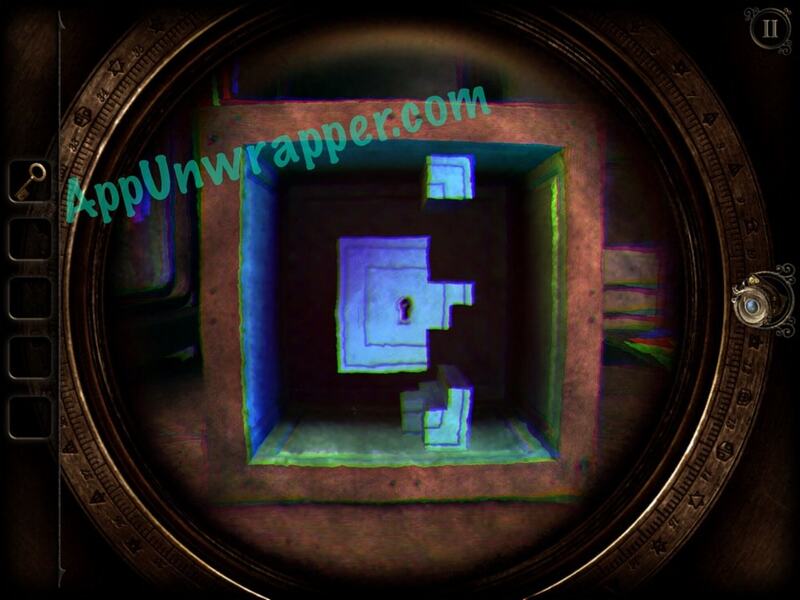 Pretty much the only puzzle I don’t like in puzzle games, and I can never figure out the pattern unless it’s small, like the similar one inside the Craftsman’s key. Maneuver one pair of beams so they are aiming right at the crystal. Now maneuver the pair next to them so they are away from the crystal, but facing the same direction. The puzzle should be easier to solve when you get to that point. Were the second and third endings supposed to use (basically) the same cutscene with the boat and getting chased by tentacles? Yep. They were. Only one scene the monster did not escape (left artefact). The other one, the monster did escape (right artefact). That’s the only difference. I worked in twos (as you can hold 2 at a time steady). Its a bit of trial and error but if you get two pairs at the same rotation point they will all turn together. Then get one pair shining on the crystal, hold those steady, and just keep turning until the rest are lined up. Actually there’s a difference in the cut scenes in 2 and 3. In the Release scene, the tentacles extend and escape into the sky- in the Escape one they just destroy the house and then disappear. Go into the back of the tree to see what’s wrong. So I’ll try to explain this as best I can. First, I found all endings. Now when I tap the spinning three crystal wheel it says “Something seems to be missing from these sockets.” I guess that’s a bug? Oh and my total time was slightly under 9 hours. How was everyone else’s? Is it normal for the screwdriver and metal object to disappear during the fourth chapter or should I be concerned? The screwdriver and any tower box you may have found disappears whenever you travel (except of course for the last location where you need them to attempt an escape). I’m not associated with the game devs, but I’m thinking they did that so people wouldn’t get confused as to what objects are needed to complete a given chapter, plus you’ve only got so many inventory slots. 4:49 (In my defense I have really bad insomnia so I played from about midnight to just shy of 5AM). Also is there a way to select a chapter? I don’t see such a menu. 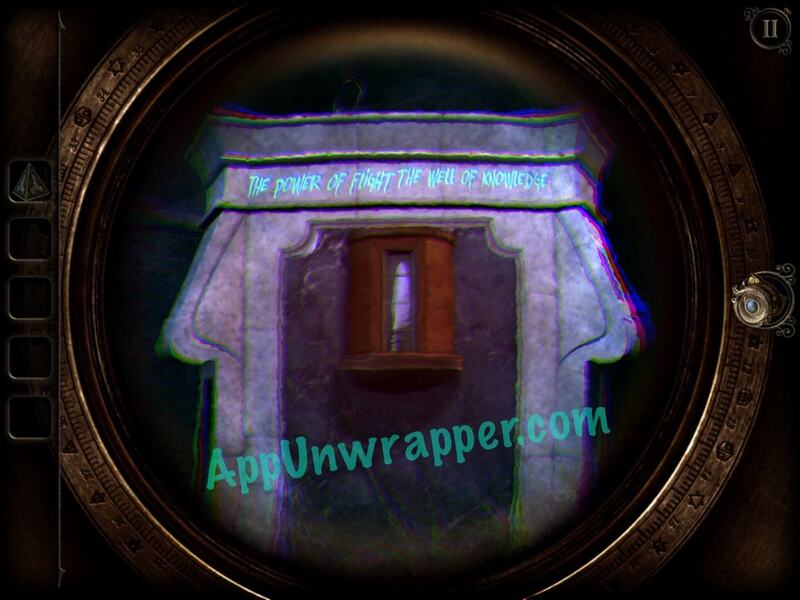 Use the etched wax cylinder at the theater inside the book on the top floor of the library. I completed in 7 hours on the first try. I may try a speed run but that sounds exhausting right now. 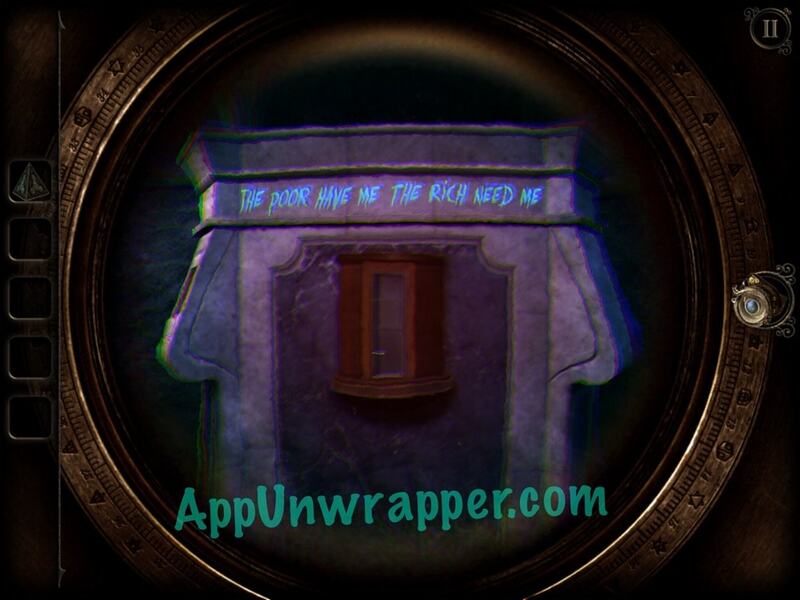 Use the book in the library to get to the old theater to play the etched wax cylinder.